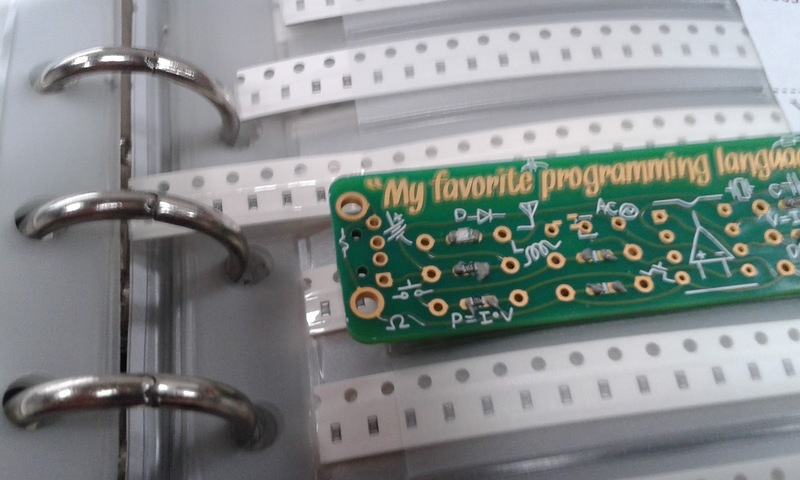 This is the though that started The Boldport Club. 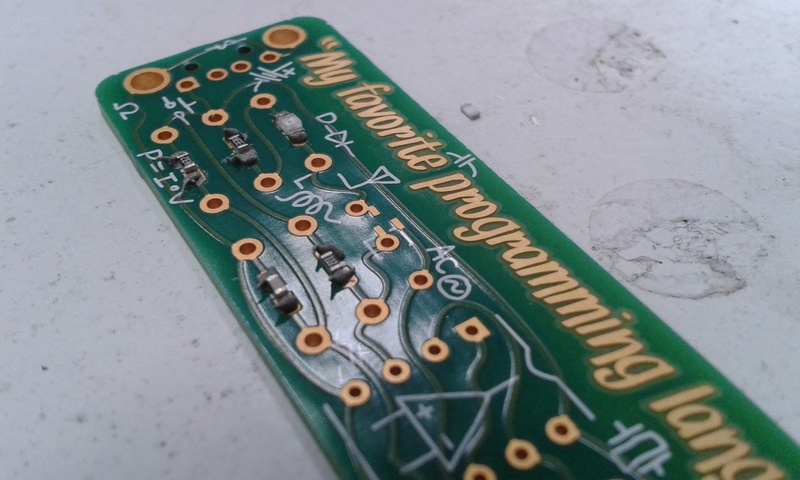 Boldport is an electronics design firm headed up by Saar focused on designing boards that are both beautiful and functional some of his designs including The Seahorse, The Life Game and The Cordwood Puzzle. Saar's PCB designs are both beautiful and unique, using every layer of the PCB to give the greatest impact including designs by exposing the copper layer and using back lighting to highlight otherwise invisible design features. The Boldport Club is a subscription service setup by Saar for people to own their own piece of these beautifully designed circuits. These subscription costs £49 for a three months that's inclusive of taxes and shipping. 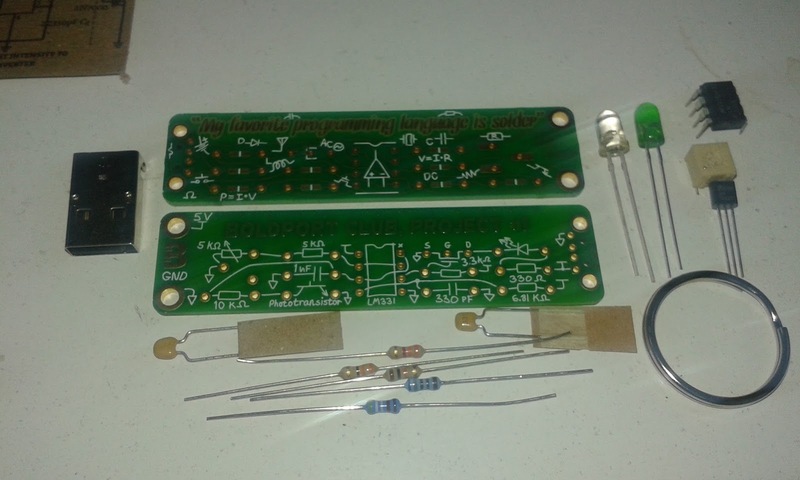 The circuits are combinations of solder at home kits and single beautiful boards. My first kit arrived a week ago and I have been itching to put it together. 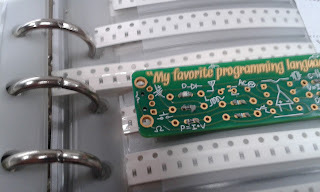 The first kit is the Pease board this is a tribute to Bob Pease a renowned designer at National Semiconductors and quoted on the front of the packaging 'My favorite programming language is solder' which makes me smile every time I hear it. 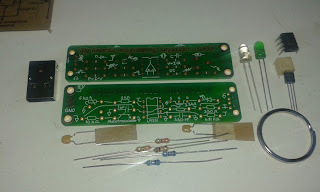 The circuit provided is a light intensity to frequency converter based on the LM331 which was one of the famous ICs designed by Bob Pease. The kit is stunningly well packed in a laser cut corrugated cardboard sandwich the amount of thought that has gone into to overall out of the box experience is breathtaking. I felt guilty opening it as it would destroy the packaging. The story continues on opening the packaging every part feels well thought through. The surprise in this kit is you are supplied with two PCBs I'm assuming one to make and other one is to keep as a key ring. 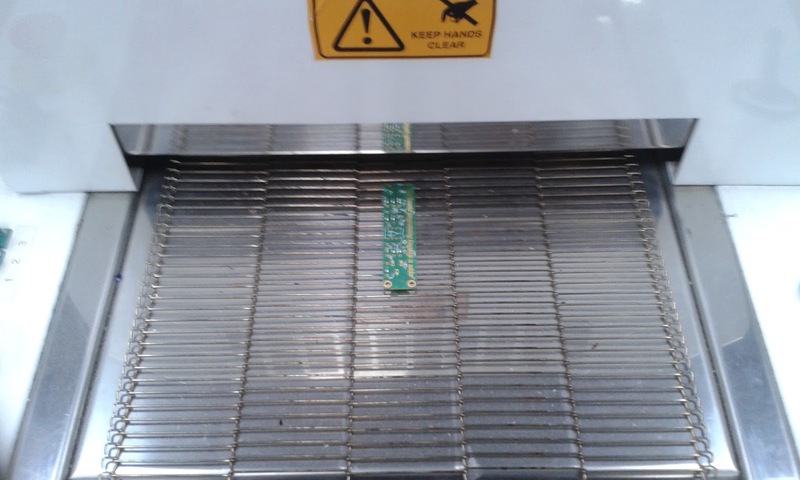 On close inspection of the PCB there are visible SMT pads for soldering surface mount components. Well me being me decides that I'm going to make my Pease board surface mounted. 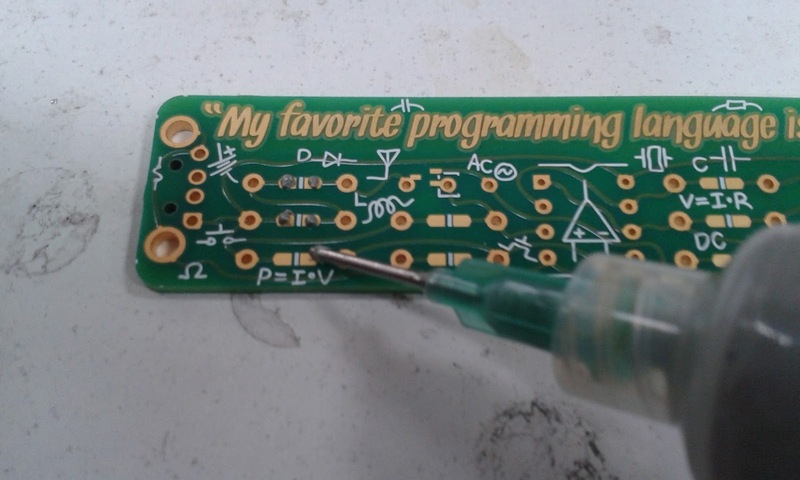 Time to find that tube of solder paste. Surface mounted components describe components that have been soldered on top of the surface of a PCB instead of 'Through hole' or PTH the component leads pass through the board and are soldered from the opposite side of the PCB. 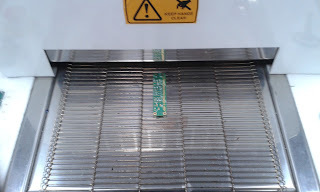 It is very possible to hand solder SMT parts to a board in fact I do it regularly with my work, but if a reflow oven is available then applying the solder paste to the pads placing the components on the paste and melting the solder in the reflow oven is far simpler. I unfortunately didn't have exact values for some of the components so I had to swap some values around. also used a Fairchild BSS138 for the drive circuit and a blue 0805 ultra bright LED. I'm not sure what sort of effect this will have on the operation of th LM331 for pouring over the datasheet these components appear to control the frequency range. So Here I am with the component soldered down nicely. The BSS138 seemed to be the wrong package type for this landing but the connections look secure. Woot! it works. 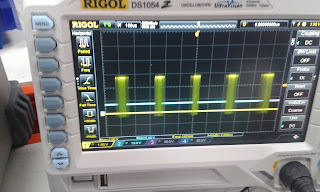 I found with mine that there was not much difference in the LED output but the oscilloscope told a much different story. 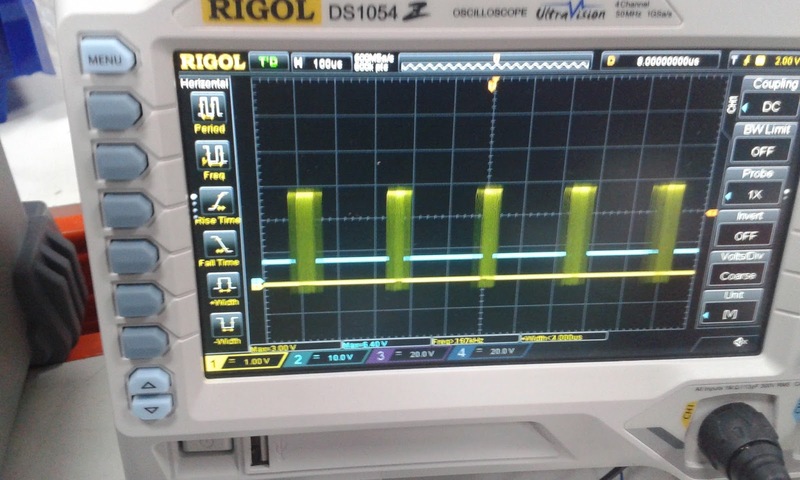 We if I can't get it to vary the LED brightness then just maybe I can get it to sing. So using the 3 watt amp from a Pimoroni Picade PCB, I Made a singing Pease Board/Theremin. 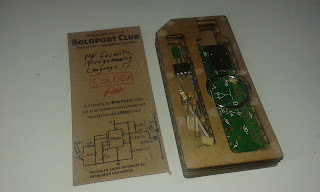 So final thoughts on the Boldport club, I am really enjoying the kits that are coming through my door each month, the give me some new outlooks into circuit design and I can't wait to see what comes next. 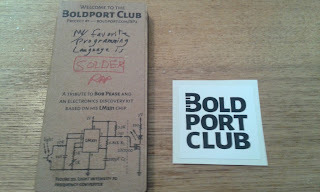 If you what to become a member head over to www.boldport.club. 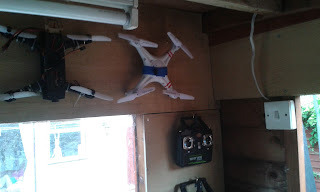 After filming my first Rabid Inventor in a Shed video realized there where a few handy hits and tips that could get lost in the middle of it. So I have at started SHED SHORTS which focus on these tips. 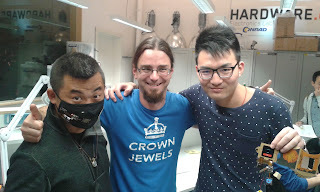 Had to start with a bit of moan and why I have a problem with 3mm, 5mm and 10mm LEDs, and what I do to get around this. 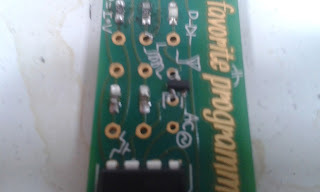 I'll show you an easy way to solder 0805 SMD LEDs onto perfboard, and ended up building a Larson scanner. I used the code from this inscrutable by samlynn79 to get the Larson scanner running. 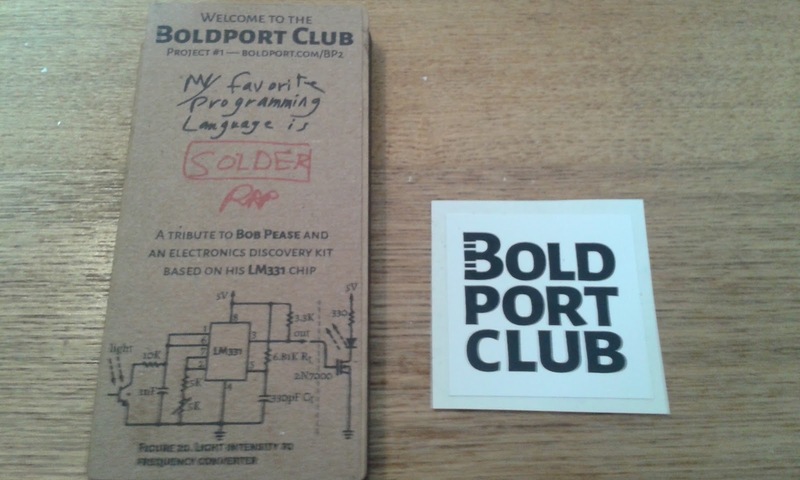 Arriving on my doorstep was the next installment if my Boldport Club subscription. 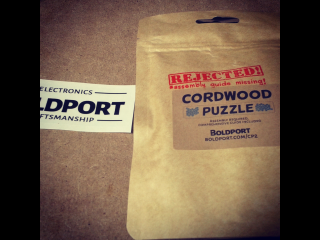 The Cordwood Puzzle is Boldport's own tribute to Cordwood circuit design. 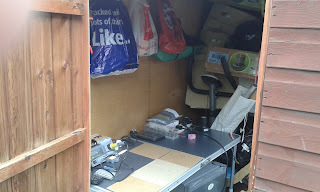 So time to break my Shed this is part of a new video series 'Rabid Inventor In A Shed'. 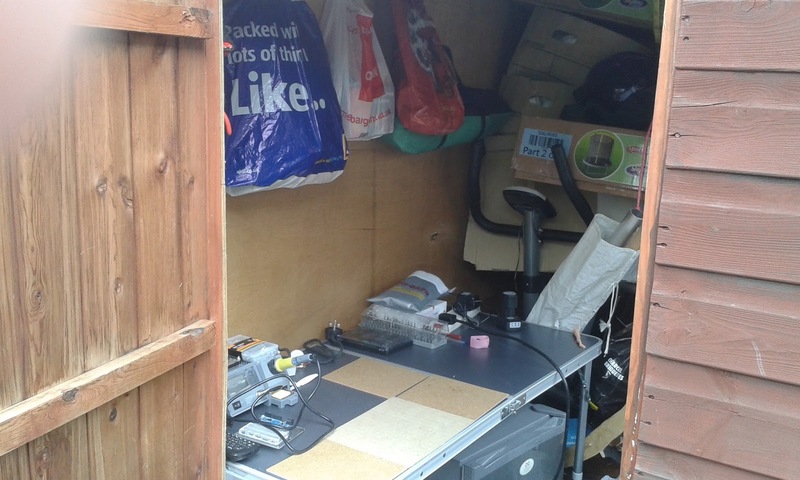 Everyone needs a workshop-shed so spent some time kitting out mine, and it was about time to break it in. I have had an exciting kickstarter reward arrive. My Seeedstudio RePhone has landed and I am having a little play with it to see what it is like. 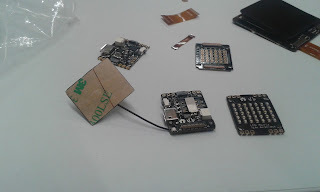 SeeedStudio are a maker supplies firm based in Shenzhen, china would make some very nice maker goodies at an affordable price. I met some of the guys from SeeedStudio while out in Berlin during my #HackAroundBerlin tour, and found that they were holding a Hackday in the city at BetaHaus for there new kickstarter the RePhone. The Rephone is and Open Source modular cellular phone system that has a central GSM and BLE module that is programmable via the Arduino IDE. The tier that I backed on kickstarter was the Create Kit which as well as the main Rephone module it includes a touchscreen module, a speaker and microphone module and a Prototyping module. I was excited to get it open and show you guys what it includes. Hopefully this is a better quality video than previous, I have a new camera and microphone as the overall quality should be better.